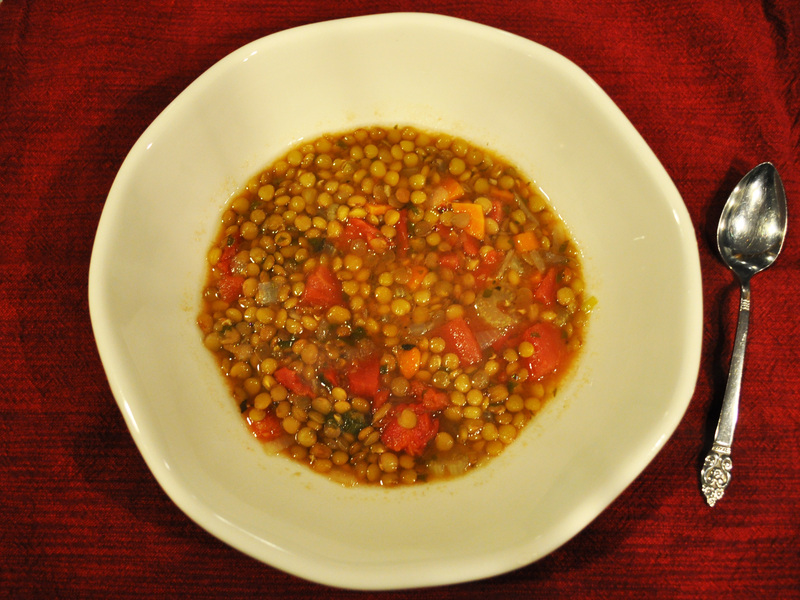 Lentil-Vegetable Soup – Got Nourishment? 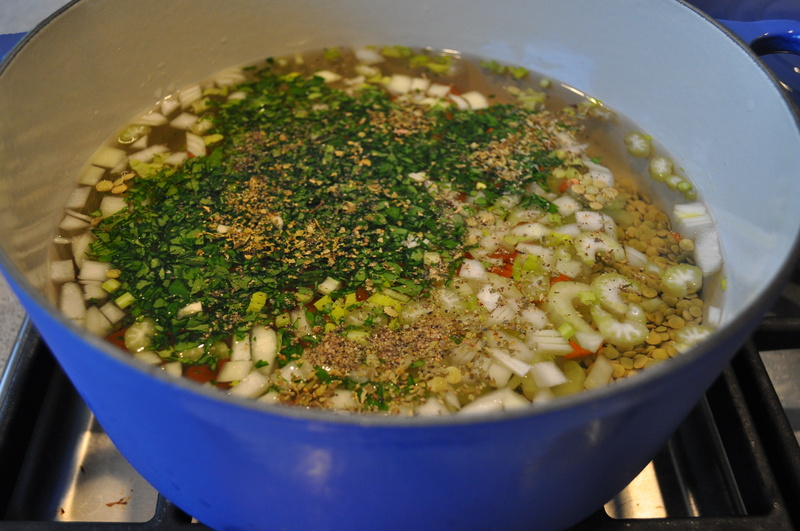 This powerhouse of a soup is easy to make, doesn’t require much dishwashing, is cheap, and is nutrient dense. What’s not to love!? Start about 2 1/2 hours before you want to eat so the lentils have time to cook and the flavors have time to meld, plus prep time. Let’s talk a little bit about lentils. 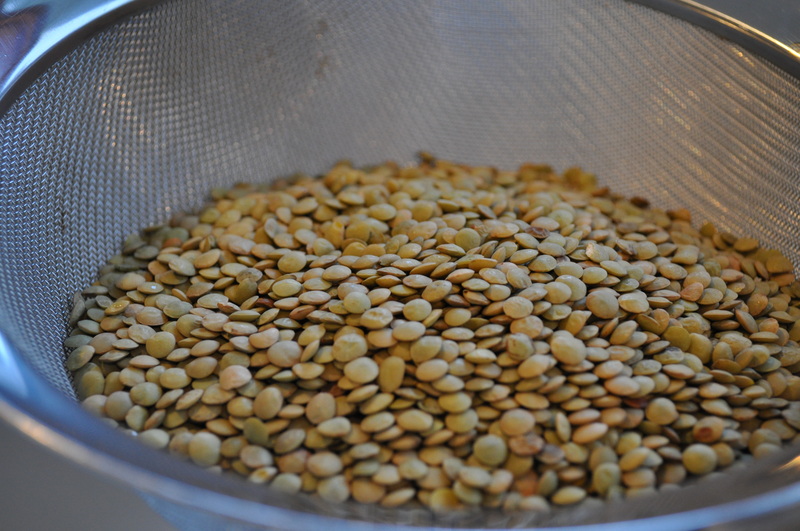 According to On Food and Cooking, the lentil is most likely the oldest cultivated legume. It is native to Southwest Asia, but is now consumed across Europe and Asia. 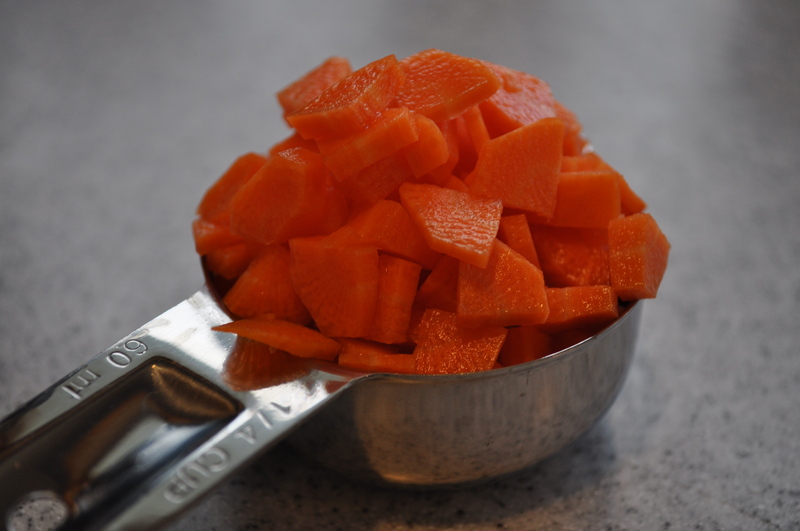 Rinse your lentils before cooking! Use the leaves as well as the stalk. The leaves are full of flavor! 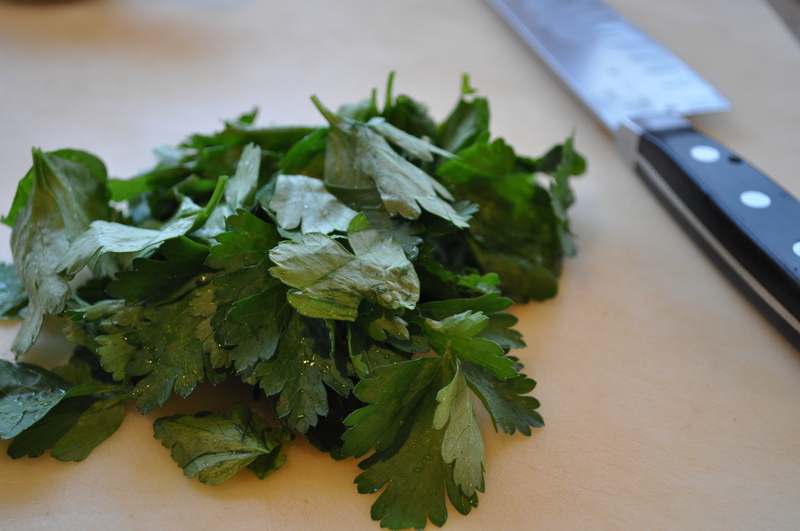 Parsley – the more herbs the better! Herbs provide lots of flavor without adding extra salt or fat. As a general rule, substitute dried herbs for fresh by using 1/3 the original quantity. 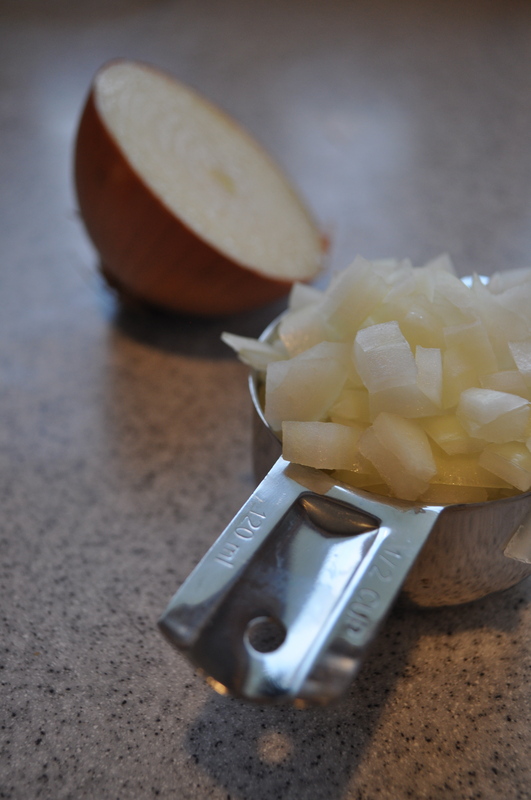 Before bringing to a boil. 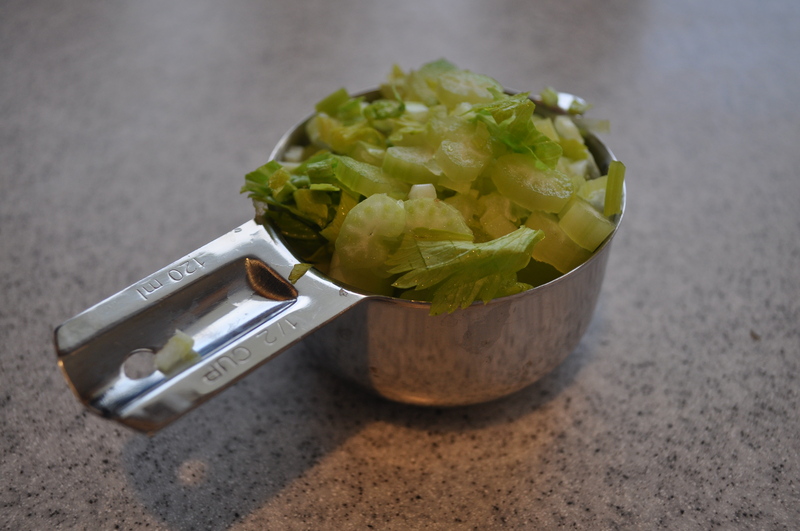 Try topping with some shredded cheese! Rinse lentils. Drain and place in large pot. Add 8 cups water and remaining ingredients, except tomatoes and vinegar. Simmer, covered, 30 minutes longer.